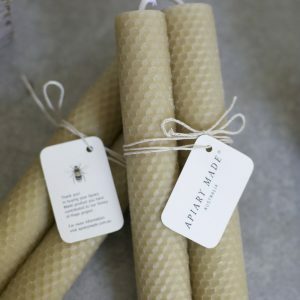 These unique and beautiful beeswax candles are made entirely by hand. 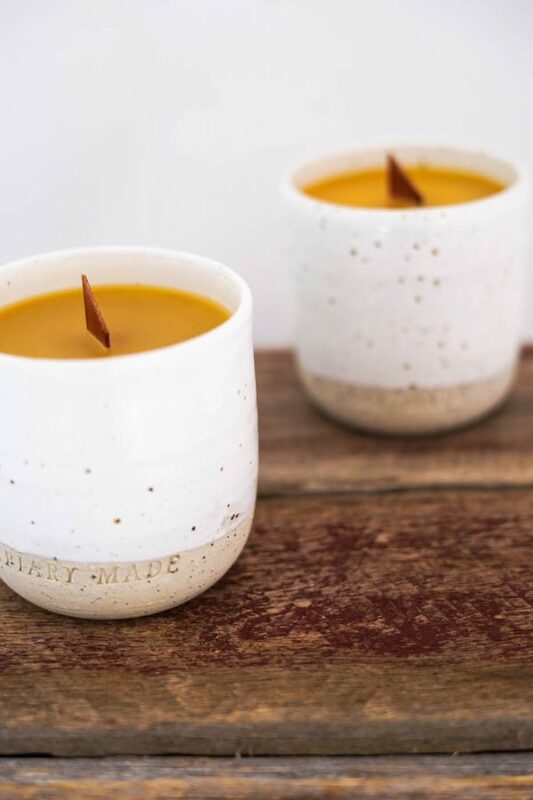 The ceramic vessels are spun on a pottery wheel, glazed and filled with pure beeswax. 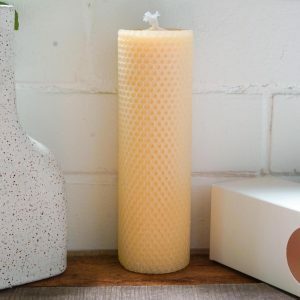 Beeswax candles produce a subtle honey smell when burned and are also hypoallergenic, helping to purify and clean the air. Another wonderful feature of beeswax is that it is non drip and has a longer burn than most other waxes meaning these beauties will burn for approximately 35 hours. Once finished and cleaned the vessel can be reused for various purpose such as a mug or vase. These are more than divine, I use them for my Home Yoga Studio, and the light is soft and gentle Glow & the burn is long. The smell is subtle but divine and I always get comments on them from students.